Our new house has textured plaster walls that my wife and I don't like. 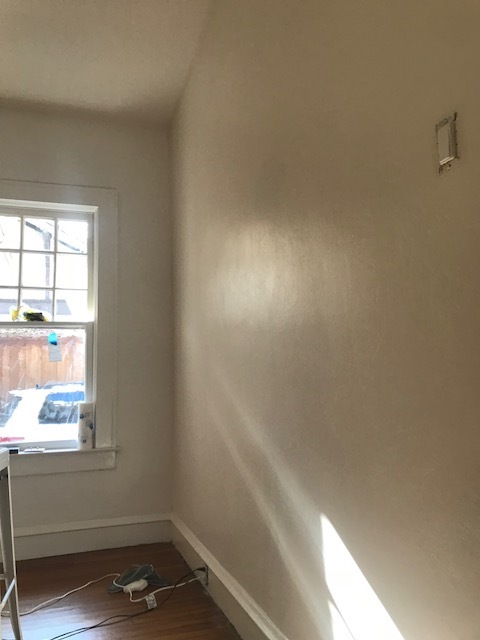 We originally wanted to skim coat the walls to smooth them out, but a contractor suggested that we could put up drywall over it instead since we have some room to give on our baseboards and trim. He also thought it'd be cheaper and quicker to do so. In addition we are going to be doing quite a bit of rewiring (removing knob and tube) and there are plenty of places where the plaster is cracking, so there is some repair work to be done beyond just skim coating the plaster in places. This is somewhat related to this question but rather than being a single crack we're talking about most of the walls in a 1400 sq ft home, built in 1925. Something about putting the drywall over the plaster makes me uneasy... Which should I do, and what are the relative pros and cons of each? Our ceilings are also textured and we'd like to smooth them out, but I feel better about throwing drywall up over the plaster there. What about that? Here's my take on drywall vs skim vs full update. Skim coating over the plaster that is already cracking would not be a good idea. Even if you use a harder more durable mud or plaster, it will still most likely crack because of the age of your house, and the fact that your walls are already cracking (and will probably continue to do so). The other down side is the sanding mess. I recently bought a condo that had nasty texture as well on the walls which I wanted to get rid of. I decided for the first room that I would use a heavy 60 grit paper to remove as much of the larger chunky texture as I could. I then skim coated with drywall mud to smooth out the walls. It took several coats to get perfectly smooth, and a whole lot of cleaning afterward. 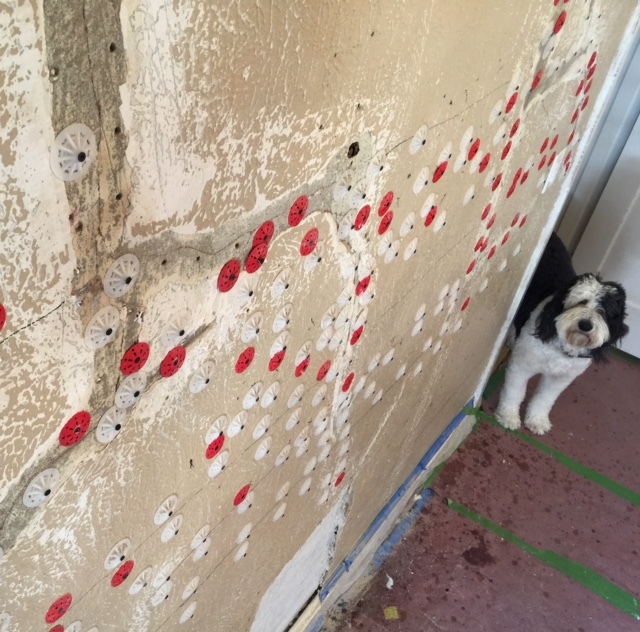 But, in my case, I know my drywall is sound and not cracking underneath, so I could reliable coat without having to worry about patching too much in the future. Using a thin drywall layer over the top may be a quicker and cheaper solution. This will eliminate the cracking issues and will give you as smooth a wall as you like, with little mess in comparison to skim coating the entire wall. I would still use a 60 grit paper or paint scraper (if it will cut through your texture) and knock down as much of the heavy texture to allow the drywall to sit closer to the surface. This will help eliminate waviness in the wall where the texture might be outrageous (like it was in my house), and allow you to use a thinner drywall. A possible major downside to this is electrical boxes? Maybe someone with more electrical knowledge can speak whether adding 1/2 inch thickness to a wall would cause issues with the electrical boxes being set further in? If so, again, I would sand and use 1/4 inch. If I was going to be living in this house for the rest of my life, I would consider a full update, especially if I was already going to be making changes to wiring. This solution is costly, time consuming, and messsssy! But, the upside is that you can fix/update your electrical to be safer, and more suitable to modern appliances. You can also add low voltage through the house which (if you're a tech nerd like me) may be a nice plus. This will also give you perfectly smooth walls that won't crack and a feeling that your not hiding a mess in your walls. I would not add drywall over plaster, as the guy said before. You have to not only look at the depth of electrical outlets, but now your door jambs are the wrong size, and window sills and trim will all have to be redone. John has a good answer. How important is it to you to have authentic plaster walls? If you live in a historic district, or your house is particularly ornate and has retained all original details, and you feel that preserving authentic plaster is ideal from an aesthetic and resale-value perspective, then properly repair all the plaster walls. However, since it sounds like you don't want to preserve the original texture anyways, my guess is that the above likely aren't a big deal. As such, I absolutely agree with your contractor in that putting up a new layer of drywall will be faster, easier, and less expensive. I've found it to be easier to just tear out the plaster and drywall it. It's a lot more work but in my run-ins with plaster in old structures it was always a pain. I would drywall it; it will save you hassle in the future. I have worked on several high end homes with plaster walls over the years along with many hair line crack. I'm an expert drywall finisher with 30 years under my belt so for best results I would contact your local drywall company. Remember - Drywall Finishing is an art - it is not something you can pick up as a DIY and expect expert results. But my personal success on the question is as follows. Sand entire area knocking down any sand texture or multiple layers of paint. I top with 2 coats- 1 USG Green all purpose followed by 2 USG Lightweight Blue can. I live in a 100 year old historic home in Texas with plaster walls. I recently changed the texture in my house. I had spider web cracks in all the walls and ceilings that had been previously taped over the decades. I ripped out all the old tape and used Big Wally's plater magic along the cracks to re-attach the plater to the lath for stability. Then I re-taped with fiberglass tape. I scraped the walls to knock off all the high peaks then used the green top Joint compound thinned out with water to smooth the surface. I used the a trowel to smooth the surface and fill in. Then I used the a mudder to apply a nice smooth texture. I kept the ceiling smooth. This is what it looked like after I ripped out all the old tape and was re-attaching the plaster back to the lath for stability. It's been a year and so far so good! Not the answer you're looking for? Browse other questions tagged repair drywall walls ceiling plaster or ask your own question. is there a sandable compound I can use for a final skim coat over StructoLite plaster? What should I do about baseboard anchors in plaster-over-brick walls? Should I smooth out or apply knockdown texture after popcorn ceiling removal?